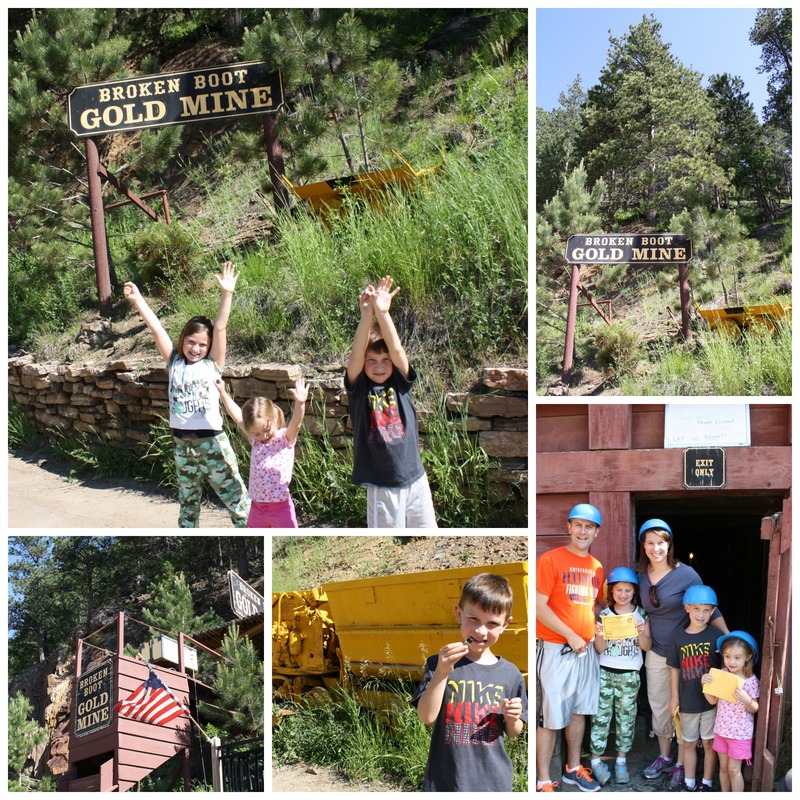 Another great stop on our road trip out west was at Broken Boot Gold Mine in Deadwood, South Dakota. Although we had the pleasure of being their guests, all thoughts are my own. 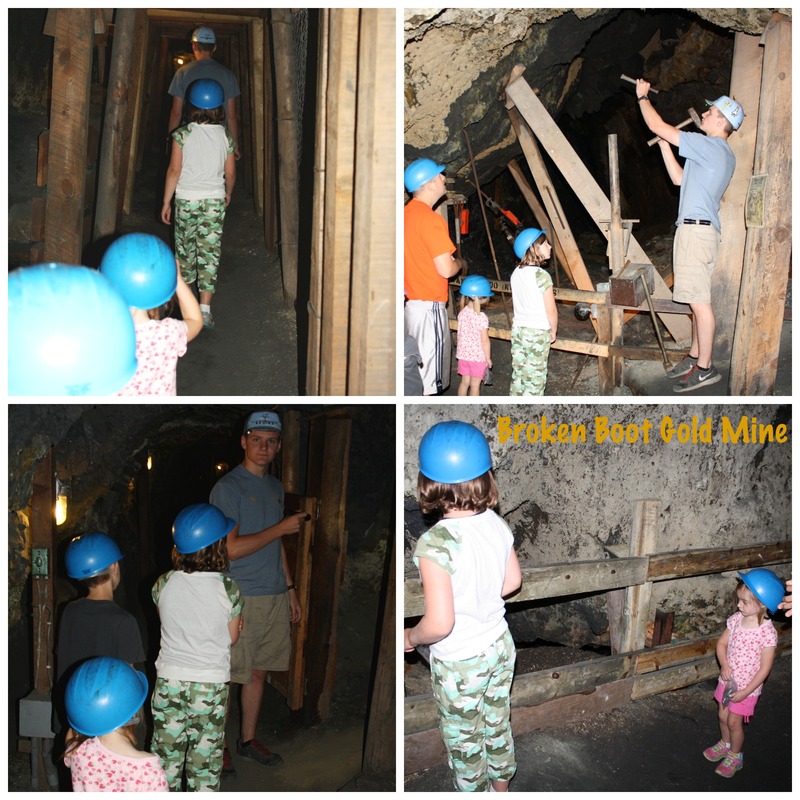 After checking in and putting on our safety helmets, Sky led us into the mine. The Broken Boot Gold Mine is named after the nearly 100 year old boot that can be seen in the mine. Sky was very informative and funny. He was also patient while the kids picked up rocks off the ground to fill their bags and when we stopped to take pictures or adjust our helmets. The tour included good information that was interesting and there were plenty of things to look at in the mine. It was neat when Sky turned the lights off and showed us what the mine looked like in candlelight. 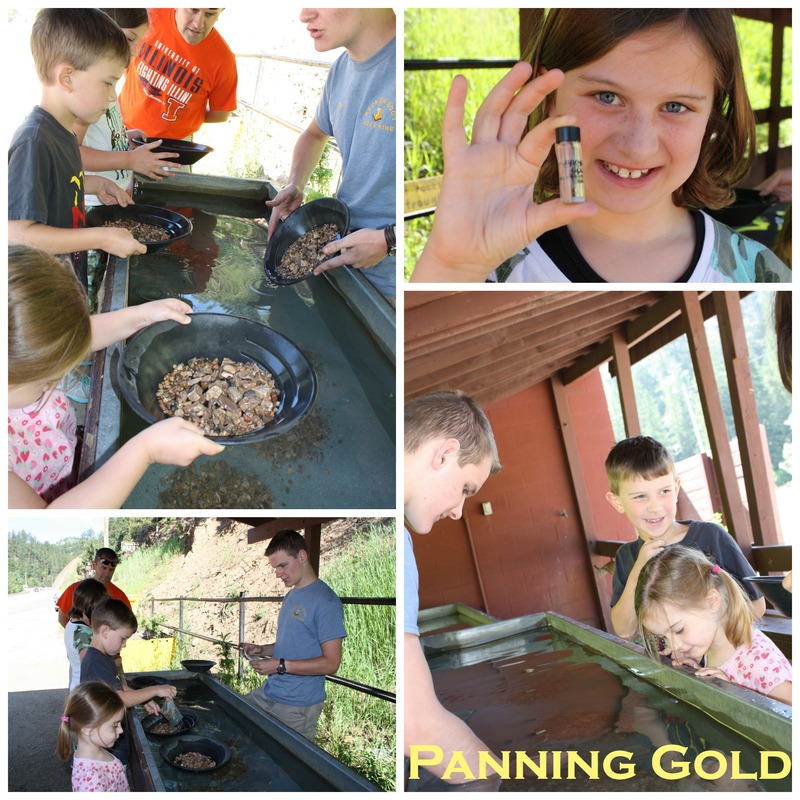 After the tour of the mine, the kids got to pan for gold. Sky explained what to do and the kids were able to follow along. After all the rocks came out, each of the kids had flecks of gold, which they put into the little vile of water they gave them. The kids loved that! We had a great time at the Broken Boot Gold Mine. It is something we will all remember. If you are in the area, stop on by and check it out. This entry was posted in Things to Do and tagged Broken Boot, Broken Boot Gold Mine, Deadwood, gold, gold mine, mine, panning gold, South Dakota, tour. Bookmark the permalink.